Since debuting with Vanilla Sky EP earlier this year, Straffitti has continued crafting his druggy trap sound by putting out new music with relative consistency. His latest release, “Zero Safety” is satisfyingly clean, echoing the bright, shiny flatness of the current digital landscape. Shot by Ifeme C.S and edited by Straff, “Zero Safety” is the rapper’s third official music video since his debut with “Cherry Game Girl” in March. Straff’s penchant for surreal visuals seen in all his previously released video is sustained by making sure nearly every scene is in some trippy sort of colour or warped shapes. Meek Mill’s Wins & Losses album cautiously addressed his setbacks by giving more perspective of his life and what he actually considers wins and losses. “Fall Thru”‘s slather on Auto-Tune and the pseudo-romantic narrative seems to be focusing on his wins—never mind the possibility of a reference to Drake’s “Come Thru”. However, in the light of his recent legal drama, the video for “Fall Thru” shows Meek chilling with his love interest and his friends almost seems sad, still this a welcome distraction from his current rather unjust situation. Released back in October, Adekunle Gold’s “Money” seemed primed to replicate the success of “Pick Up” with the similar pseudo-religious subtext. Fuse’s production on the Afropop single incorporates some foreign samples but Adekunle Gold retains his familiar local melodies with his fusion of English and indigenous Yoruba lyrics. Ani James directs the video and runs with the “Money” title as he recreates the images on the Nigerian currency for the fun music video. While Adekunle Gold begs for money to come towards him in the lyrics the video finds him in a room filled with so much money, the legal tender merely serves as an ornament. Directed by DAPS, the video for Uzi Vert’s “The Way Life Goes” gets eerie very quickly. But Uzi’s reputation for satanic symbolism in his videos cushions the shock effect as his lyrics sustains his troubled narrative singing “I Know It Hurts Sometimes, But You’ll Get Over It.” Nicki Minaj’s verse on the remix is, however, more lighthearted finding new ways to remind listeners her coochie is better than everybody’s. Following the song’s premise, the video ends with Uzi being choked to death and buried by a femme fatale. “Chimamanda” is among the more spiritually conscious tracks on the album as it inspires a music video with a few biblical imageries—including some retro amateurish digital lightning and thunder sound effects. 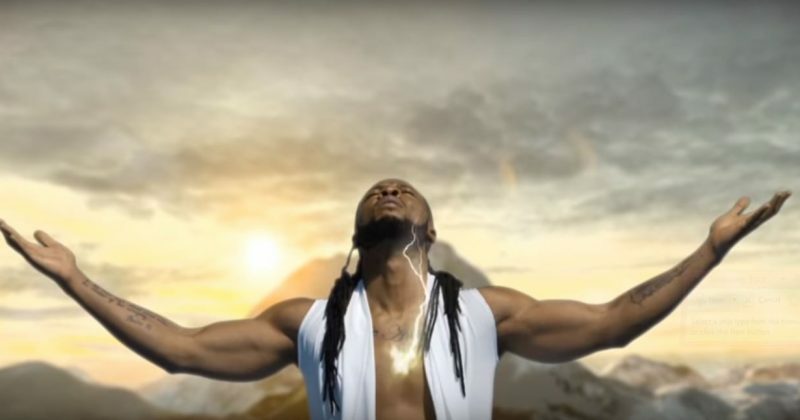 Flavour’s latest release, the videos for “Chimamanda” extends the rollout of what is starting to look more and more like a visual album. The 17-track Ijale the Traveler album already has 8 released videos and with their sparse releases, what’s to say there won’t be more?